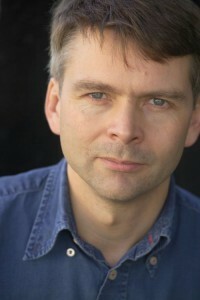 Andrew Gant is a lecturer at St Peter's College, University of Oxford. He is also a singer, organist, choir master and was composer at Her Majesty's Chapel Royal from 2000 to 2013. He is the author of Christmas Carols: From Village Green To Church Choir (2014) and the widely acclaimed O Sing Unto The Lord: A History Of English Church Music (2015). He is currently working on a book on the making of Handel's Messiah. 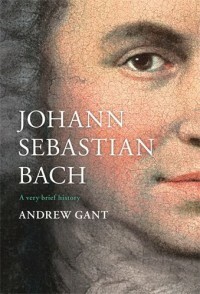 Andrew took time out from his hugely busy schedule to talk about his book Johann Sebastian Bach: A Very Brief History published by SPCK. Tony: Do you think Classic FM has played a pivotal role in finding a popular audience for classical music? Andrew: Yes, I do. I think it's been a huge success. I admire the vision and the energy of the people who pioneered it. I think it's changed the whole landscape around how we approach and use and listen to classical music, and the rest of the industry has had to react. That can only be a good thing. If you look at the programming at the Proms, the greatest classical music festival in the world, you will find Proms dedicated to David Bowie and American musicals, not to mention Doctor Who and Star Wars, which would have been unthinkable 25 years ago. That's got to be a good thing. Music is music. Tony: Have you written your book more for a Classic FM listener than a Gramophone Magazine reader? Andrew: I'd like to think there was something there for everybody. What I try to do when I write about music - which I've done quite a lot now - is to try to communicate an enthusiasm for it which can be enjoyed and shared at any level that the listener wants. Great music has depth and you can approach it at whatever level you want. I have no argument at all with taking a wonderful melody like Bach's "Air On A G String" and playing it separately as a violin solo or whatever it might be. But I hope listeners would go on from that and ask, 'Where does this come from? What is the rest of the suite like? What are the rest of Bach's suites like?' Explore it further. So it's got to be everybody really. Tony: You can't write about Bach without addressing his Christian faith. Did you get to grips with Lutheran theology before writing your book? Andrew: I would certainly not claim to be in any sense a theologian, but you're absolutely right, it is heart and soul of Bach's art and his life. You can't approach him without addressing that aspect: it's there running throughout the music, both in the musical themes that he used - Lutheran hymns and choral - and the vast amount of his music written for use in church. Not by any means exclusively, though: we shouldn't think Bach is a Renaissance composer like Palestrina, the vast majority of whose music is sacred and liturgical. That's not true with Bach. A lot of what he did, he did because of where he was employed. In Leipzig, he was employed by the Thomasschule, which was attached to the church. But when he worked at Köthen, for example, the chapel there was Calvinist, which meant it didn't have music. So, during that period, he wrote no church music; he wrote instrumental music instead. It's a mixed picture, and, as so often with Bach, there's very little personal insight. There's lots of detail about his working life, his day-to-day relationship with employers and employees, but not a great deal about him as a person. Tony: Considering how little hard information you could find, you've put together an intriguing book. But there are a lot of technical terms that can make it challenging for someone not educated in music. Andrew: That is a very fair point, and obviously it's one of the issues a writer has to address. At the same time, you can't give an accurate assessment of the sheer technical accomplishment of a composer like Bach without using a certain amount of technical language. I have tried to do so and explain it, but there is a question of the level at which you pitch these things. Tony: Bach falling out of fashion after his death is fascinating, but you believe as I do that quality will win out. Andrew: Yes. It's an extremely interesting question. I think it is true, but also I think that is quite a modern idea. There's no doubt during his own lifetime Bach realised the style and the manner he worked in was old fashioned. Things were moving on around him. It's an interesting idea looking back that each generation would have assumed that the new was better than the old. Why would you play the old music? It would be like travelling on a donkey when you've got a steam train - an absurd thing to do. It's quite a modern idea to be able to look at the music of the past in its own context, try and see it in the manner and through the eyes of the people who experienced it; and it's revealed untold wonders to us, not just in the music but in the way it's played. The Victorians would be quite happy to play the music of Handel with choirs of a thousand, which was not what Handel had in mind. Tony: It interests me that a lot of Bach is played on piano when that wasn't Bach's main instrument. Andrew: That's another interesting idea. We talk about trying to hear it the way that he did, but that doesn't rule out things like playing Bach on a modern piano. Bach didn't have a piano: they hadn't been invented. The piano was just beginning to come into general use, and he did have sight of and did play early pianos; and there is some evidence that he didn't think much of them. But he was very critical and very hands on about all sorts of musical instruments. Bach's keyboard music - he very rarely specifies which instrument he has in mind. He tends to refer to it as just that: 'keyboard music'. You could play it on a harpsichord, a clavichord, a spinet - possibly an organ - or indeed other instruments. As long as you're respectful of the music, playing it on a decent modern grand piano can really reveal things about that music that are there. There are many wonderful modern pianists that have done exactly that. Tony: In 2015 you wrote O Sing Unto The Lord: A History Of English Church Music. That must have been an epic piece of research.